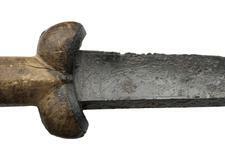 The ballock dagger was a short dagger used throughout the Hundred Years' War. It took its name from the two large lobes or balls at the base of the grip, and their resemblance to male genitalia. 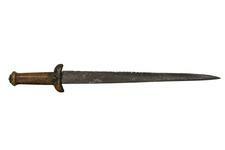 Ballock daggers first appeared around 1300 and their use continued in to the early-17th century. 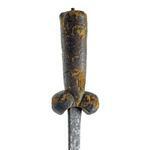 Their name comes from the phallic shape of the hilt. 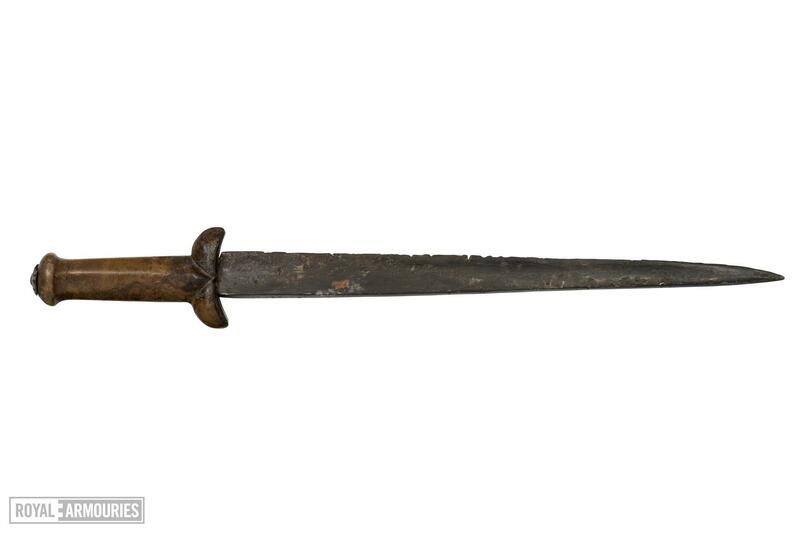 In later periods, they were euphemistically called 'kidney' daggers. Styles of ballock daggers varied considerably. The dagger blade tapered to a point, with some having a single-edge, and others a double-edge. Some had thicker blades of diamond cross-section. Ballock daggers were often carried at the right hip, and although used by civilians during this period, they were primarily used in close combat by nobles and common soldiers. 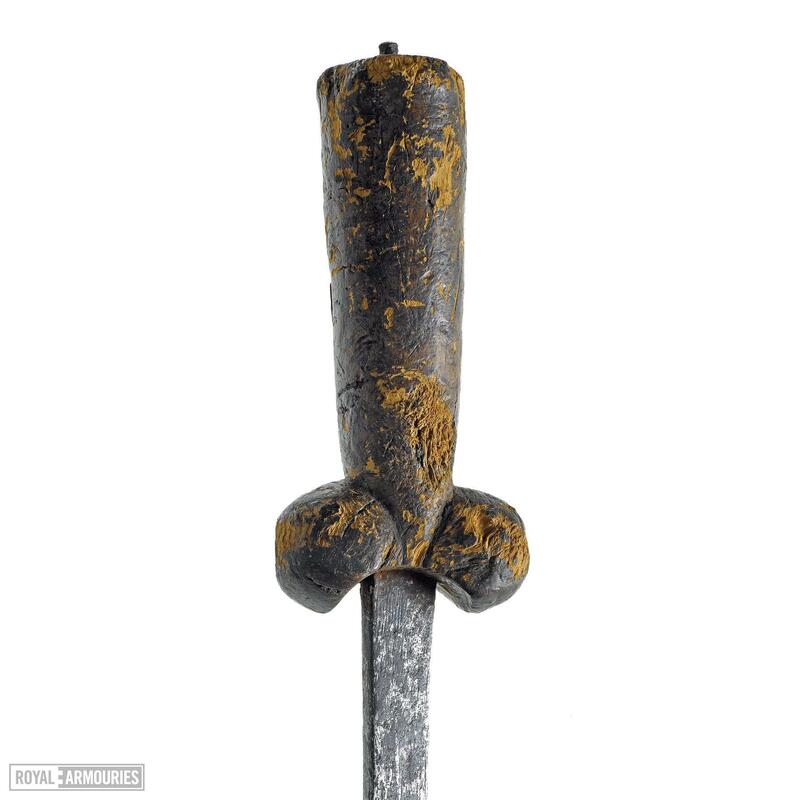 The ballock dagger's strong, pointed blade was useful for stabbing and seeking out the weak points in armour, such as the helmet visor, armpit, and the groin. 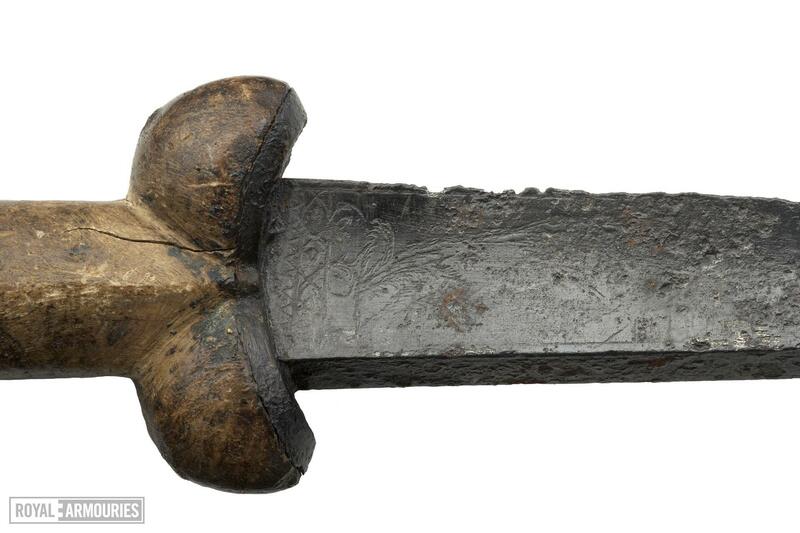 Depending upon the cross section of the blade they could also serve as a soldiers' tool or utensil.